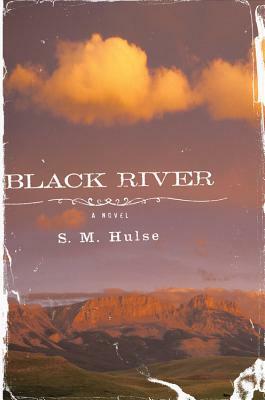 A tense Western and an assured debut, Black River tells the story of a man marked by a prison riot as he returns to the town, and the convict, who shaped him. When Wes Carver returns to Black River, he carries two things in the cab of his truck: his wife’s ashes and a letter from the prison parole board. The convict who held him hostage during a riot, twenty years ago, is being considered for release. Wes has been away from Black River ever since the riot. He grew up in this small Montana town, encircled by mountains, and, like his father before him and most of the men there, he made his living as a Corrections Officer. A talented, natural fiddler, he found solace and joy in his music. But during that riot Bobby Williams changed everything for Wes — undermining his faith and taking away his ability to play. How can a man who once embodied evil ever come to good? How can he pay for such crimes with anything but his life? As Wes considers his own choices and grieves for all he’s lost, he must decide what he believes and whether he can let Williams walk away. With spare prose and stunning detail, S. M. Hulse drops us deep into the heart and darkness of an American town.